Nothing changes your landscape like beautiful stonework. When it comes to masonry, Phoenix properties benefit from our landscapers‘ years of design and installation experience. From planters and mailboxes all the way to retaining walls our expert craftsmen will bring life and contrast to your landscape design. 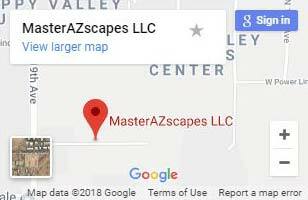 MasterAZscapes LLC offers all our mason work in a variety of material types that will meet your needs for aesthetic beauty and durability. Not only do expertly crafted stone walls add a great visual element to your landscape they help manage slopes and level changes more efficiently by helping maximize your usable landscape space. This makes masonry Phoenix services a multi-beneficial property addition. It allows for control of run-off, habitat creation, and scenic areas that are great for entertaining. A masonry accent will add a delightful contrast to bring out a feature in your landscape’s design. Stone veneer is a fantastic way to create a focal point out of your lounge areas or even direct attention to more exotic hardscaped features of your design. We feel that every hardscape area should have contrast points to bring out the accent features of your design areas such as plants, trees, lighting, fireplaces, fire pits and other such items to achieve maximum balance. Contact us today to set up a meeting with one of our friendly estimators to show you how we can design your landscape plan for dynamic results. 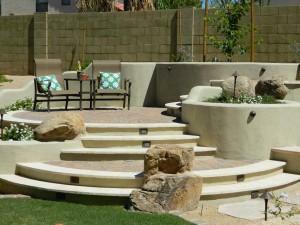 Our masonry Phoenix experts will work with you to identify your best options. We work with you to hone your ideas, identify wants, needs, and desired features. This allows us to draft carefully crafted masonry work that’s customized for you. Get rustic masonry refacing for a new look! Do you have an area of opportunity on your home? Stone Veneer can turn any dull or bland area into a center accent point or into an elegant compliment. Stack stone can be applied to more than walls and BBQ Islands and can bring out the beauty of cultured stone finish to dull stucco. The color and variety are quite accommodating and can tie into almost any existing color to best meet your home’s personality. When you want the best in local masonry work from a masonry company that does more, call (623) 780-0474 or Contact Us today. 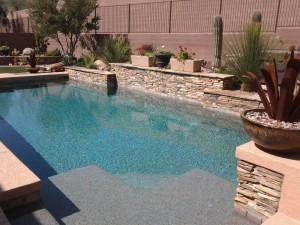 With more than 15 years of experience, we’re your source for masonry Phoenix business and home owners love.